The first piece of legislation voted on last week was House Bill 55 which would allow superior court judges to issue a warrant with statewide application. To issue such a statewide warrant, the superior court judge must have jurisdiction over a particular crime under investigation. It was introduced in response to a recent Supreme Court ruling that placed a multitude of wiretaps in jeopardy of being found unconstitutional. The problem is particularly compelling because modern technology makes it easier than ever for criminal enterprises to extend beyond one small area or jurisdiction. Judges, therefore, need the ability to grant statewide wiretaps, so that law enforcement can launch effective investigations against large scale organized crime. The House approved this legislation with near unanimous support, so it will now go to the Senate for consideration. The House also voted on House Bill 57, a bill designed to protect Georgians from the growing problem of synthetic marijuana and narcotic “bath salts.” These designer drugs can cause extreme paranoia, suicidal tendencies, hallucinations, or even death in some cases. HB 57 helps remove these dangerous substances from store shelves by expanding the list of substances that are considered illegal by the state of Georgia. The General Assembly passed similar legislation last year, but the makers of these drugs constantly change their chemical formulas to avoid the newly passed laws. Consequently, HB 57 is needed to add the most recently developed components that give these substances their narcotic effects to the state list of Schedule I narcotics. The House also approved HB 57 with near unanimous support, so it too will now go to the Senate for consideration. 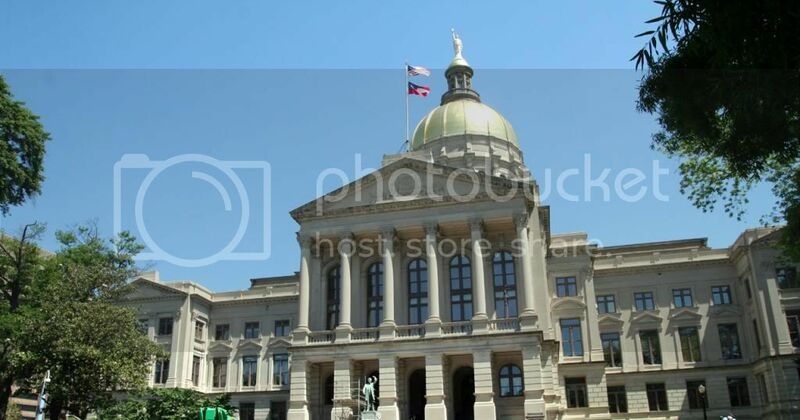 The final bill the House passed last week, Senate Bill 24, will provide much needed funding for Georgia’s Medicaid program, which provides healthcare for indigent women and children, as well as elderly patients. This legislation essentially continues a funding mechanism first created in 2010 to cover a Medicaid shortfall that was in the hundreds of millions. The General Assembly enacted the 2010 mechanism after hospitals asked to enter into a payment agreement with the state in order to provide a funding stream that could be used to draw down additional federal Medicaid funds and returned to hospitals with an increased Medicaid reimbursement rate. This self-imposed provider payment allowed the state to eliminate a 10.25 percent Medicaid rate cut that would have been devastating for Georgia hospitals and physicians. In fact, this financial program is so successful that 49 states and the District of Columbia now have similar provider payment agreements. As this week continues, Spencer’s committees will begin looking forward to legislation delegated to them by the Speaker. Also, the House is likely to vote on a couple more pieces of legislation before the week is over. As always, it is an honor to serve you in the General Assembly. If you have any questions or concerns, do not hesitate to reach out. Have a great week!